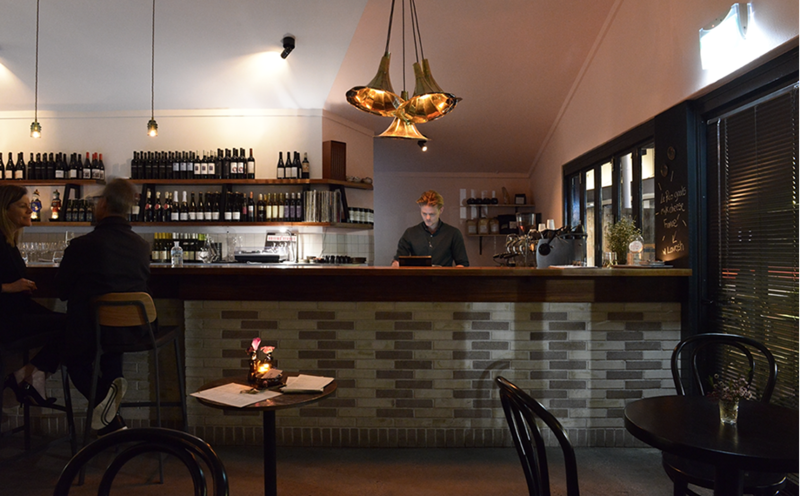 Claremont’s trendiest wine bar, Billie H, is dishing up a range of anytime eats, share plates, drinks and dessert. The supper club turned wine bar brings a mix of contemporary and classic cool to Claremont’s shopping strip. Take a step back from the bustling sidewalk and you’ll find yourself amidst sleek concrete floors, looking down a long bar with dim lighting. Dozens of wine bottles decorate the shelves behind. As it turns out, the fitting backdrop comes in very handy if you’re feeling a little overwhelmed by the sophisticated wine list. The cellar holds a unique collection of old and new world wines, mostly European with some local favourites in the mix as well. If you’re still not sure, the bar staff are overwhelmingly pleasant and will help guide you toward a suitable drop. 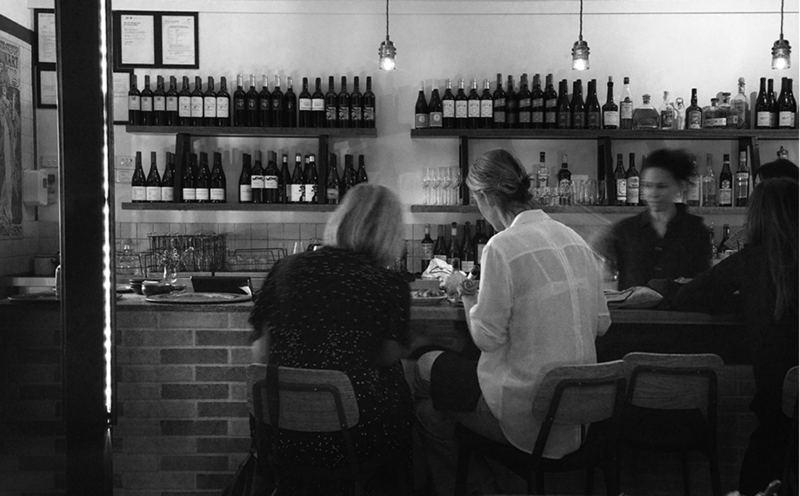 Find a unique collection of old and new wines at this supper club turned wine bar in Claremont. Inside, the space is filled with dark wood tables of varying sizes, necessary to accommodate large bookings and walk-ins from locals. A turntable is poised, ready to go at a moment’s notice. Very fitting, considering the bar’s namesake, Billie Holiday, was a famous jazz singer. Outside, the sunlit courtyard is covered in vines and makes for a very pleasant setting. If you’re not careful, the hours will slip away as you catch up with friends over coffee or a drink. A pleasant setting at Billie H, named after famous jazz singer Billie Holiday. Turning more than just local heads, Billie H was named one of Australia’s top restaurants by Gourmet Traveller and the Weekend Australian Magazine, and the winner of OpenTable’s Diners’ Choice in 2017. It’s for good reason too. Head Chef, Alia Glorie, has created a standout menu that puts an interesting twist on some old classics including devilled chicken livers and sardines on toast. Thrown into the mix are the usual share plate favourites like grilled chorizo, marinated olives and a selection of cures. But the best part is, they’ve dedicated a whole section of the menu entirely to cheese. With selections from France, England, Netherlands and Australia, they’ve got their priorities in order! Take in the relaxed atmosphere to refuel after a busy afternoon of shopping in Claremont. 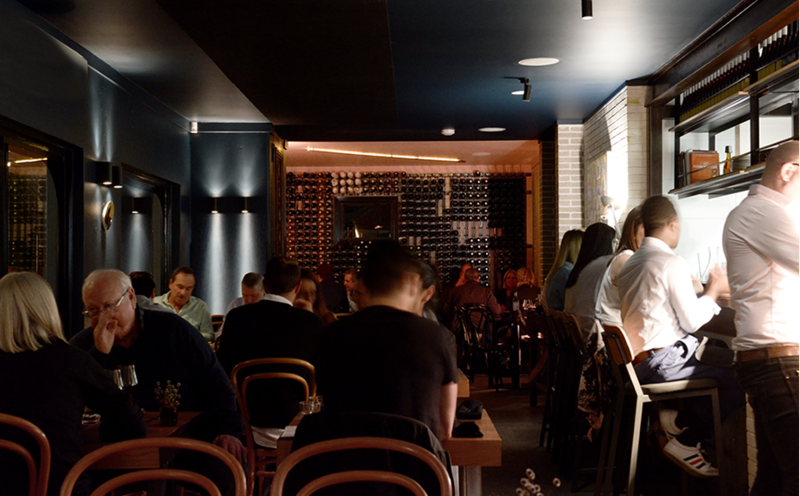 As one of Perth’s hidden gems, Billie H fits in perfectly with the buzzing, dynamic atmosphere of Claremont life. During the day, it offers itself up as a sanctuary for weary shoppers to refuel and energise before the school-run. While the relaxed evening atmosphere, invites locals to drop-in for after work drinks, who will inevitably end up staying for dinner. Whether it’s a romantic evening or a night out with friends, Bille H provides a great setting to enjoy some fine wine, cocktails and good food. Open most days from 12pm to late, there’s plenty of opportunities to get acquainted with Billie H.